Rheinmetall will configure 38 Boxer multipurpose armoured transport vehicles for a command role in a contract worth €21 million. On 28 June 2017, OCCAR, the European procurement agency, awarded the Boxer consortium, ARTEC, a contract to upgrade these vehicles to A2 status. ARTEC is expected to pass the order on to consortium partner Rheinmetall MAN Military Vehicles. For Rheinmetall the gross value of the contract comes to around (€18 million). The order will be complete in mid 2020. Modernising the Boxer command vehicles to A2 design status will involve a whole host of modifications affecting both the chassis and mission module. Among other things, the vehicles will be retrofitted with advanced driver visualisation technology, weapon systems, IT equipment modules and communication systems, which are expected to improve handling, protection, combat effectiveness, networking and logistics. The scope of performance encompasses both one-time and serially produced products and services. In general, the one-time items relate to development activities such as system safety, environmental compatibility analysis, logistic support analysis and interactive electronic documentation. 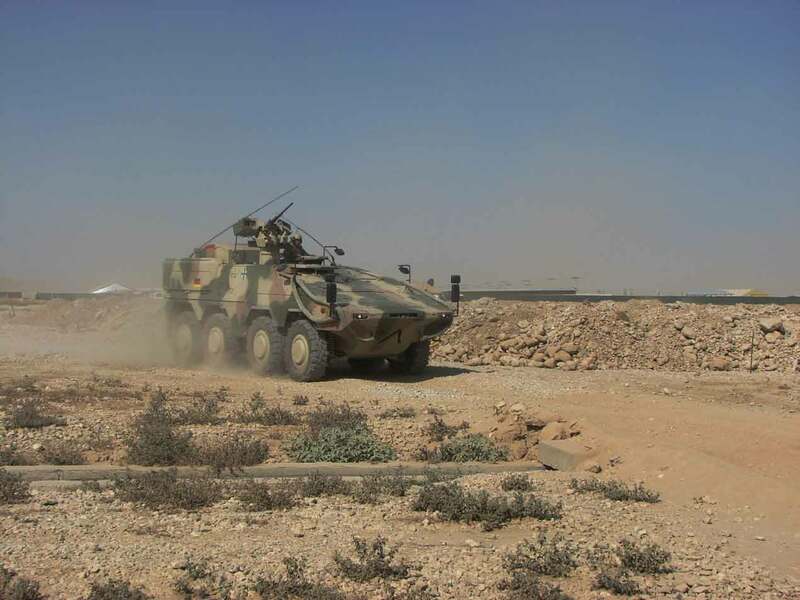 Besides the 38 command vehicles, the German armed forces are upgrading 124 Boxer armoured personnel carriers, 72 heavily protected field ambulances and 12 driver training vehicles to A2 status. The upgrade of the chassis to A2 design status includes the “fit-for” driver visualisation system installation kit, modification of the exhaust gas and cooling air flow, repositioning of the towing cable and the driver’s station, and covering of the rear spotlights. In addition, labelling in conformity with the German Army’s Automatic Identification Technology for logistical situational awareness will be introduced. Requirements generated by the safety workshop are being implemented, including an anti-lock brake systems function check and monitoring of the differential lock. Modification of the command vehicle module to A2 design status encompasses installation of a fire suppression system; a remotely controlled FLW200 weapon station that can be operated from multiple locations in the vehicle; common displays for the vehicle commander and section leader; transmission of the video signal from the driver visualisation system to the commander’s station; as well as alteration of the external storage capacity, antenna configuration and loading. Additional components will be integrated into the vehicle’s IT suite, including DVI, LAN, Y adapter cables and a DC/DC transformer. The upgraded vehicles will also be equipped with voice over IP capability.